Greetings! At some point, you will visit this post and see a rundown of the topics I discussed on Boston Public Radio today, including links to more stuff to read. This is not that point. Hey! 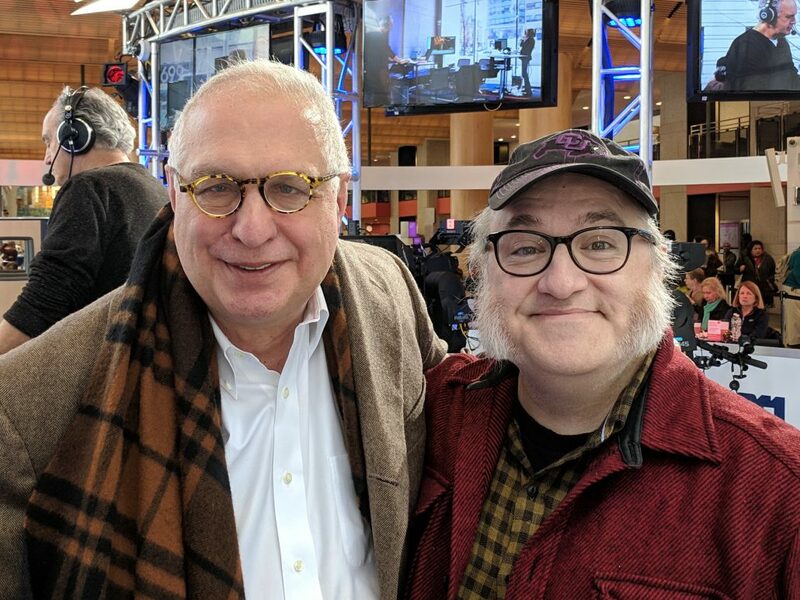 How about a photo of me and Errol Morris? He was on right after me. You bet your life I stuck around to listen (and yes, he was amazing). I was super-pleased to get a chance to tell him how much I’ve loved his documentaries. The photo was just a bonus. I will now enjoy lunch at the Boston Public Library. But not before handing you a link to Kashmir Hill’s incredibly good series over at Gizmodo. I hope she gets all the awards for this. Even ones that have nothing to do with journalism or technology.